B2.0 is an annual gathering for bloggers and social media enthusiasts in Borneo Island. Everyday Food I Love: we will be present as special guests during B2.0 Borneo bloggers event for this coming 1st December. Come and join us, we will share our passion with you!!! 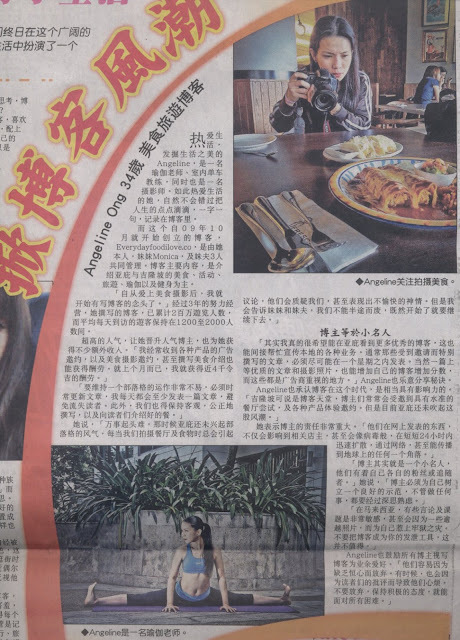 Started off as a hobby in photography and love for food, the Everyday Food I Love team consisting of Angeline, Monica and Jack started off from the need to prove that KK has lots of hidden gem appearing in a form of eateries serving delicious food. They have progressed from those days to also include among others, KL eateries, overseas food as well as product review, travel and hospitality review, as well as health and wellness tips. Everyday Food I Love is one of the top blogs in Sabah with readership that has increased tremendously from a mere 20 unique visitors, to 2000 unique visitors per day. If you happen to be in Kota Kinabalu and looking for a place to eat & drink, this is one blog you should check out. Everyday Food I Love will be present as special guests during B2.0 https://www.facebook.com/events/468741073169920/ this coming 1st December.